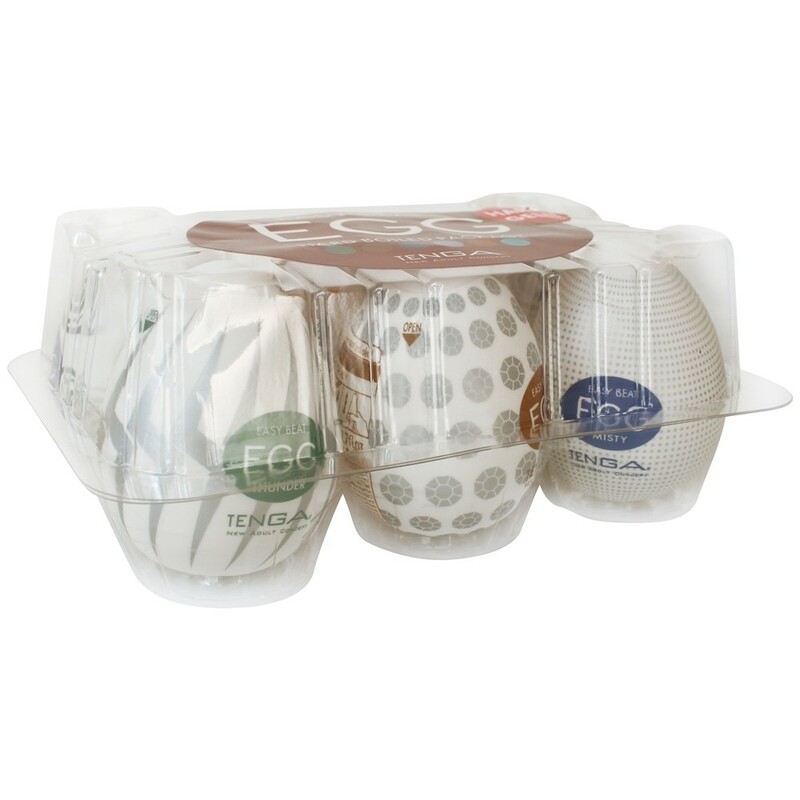 The new Hard Boiled Tenga Egg 6-Pack feature a firmer elastomer sleeve, producing greater feelings of tightness while every ridge or swirl is exemplified from the original Egg. Maybe it's time for a change. 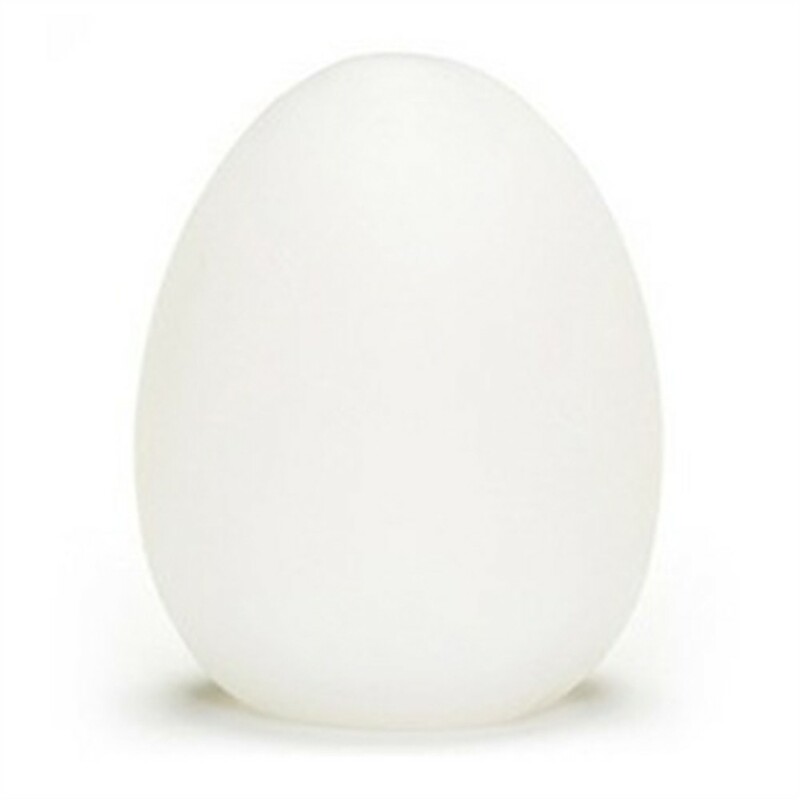 Not only do the "ona-cups" comes in a new material, but the egg-shaped masturbation sleeves also offer new unique internal textures. 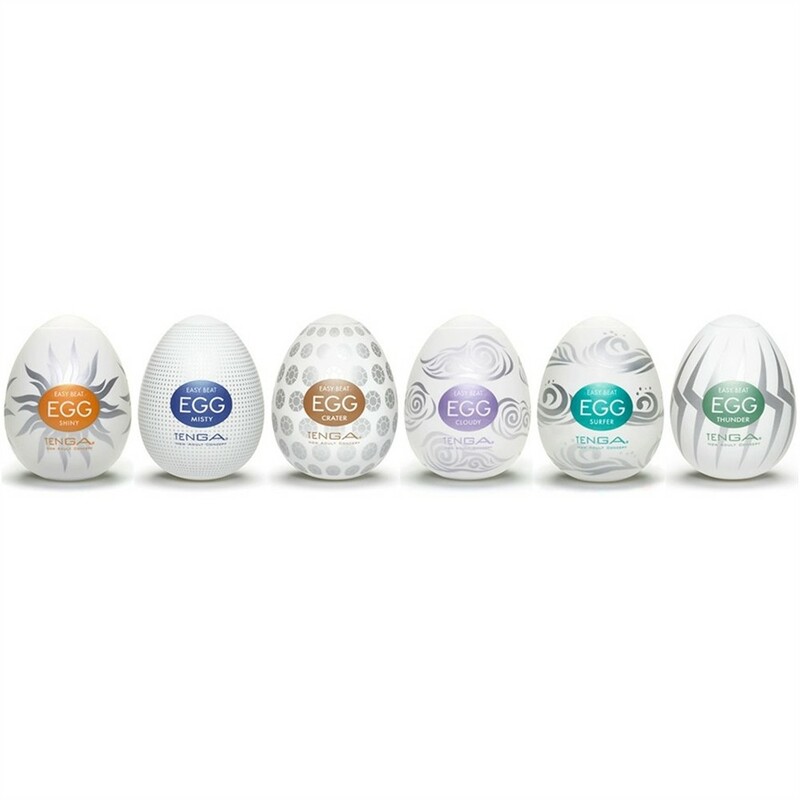 Get different stokes from different yolks! Thunder: Firm, vertical lightning edges provide a strong, sharp sensation. 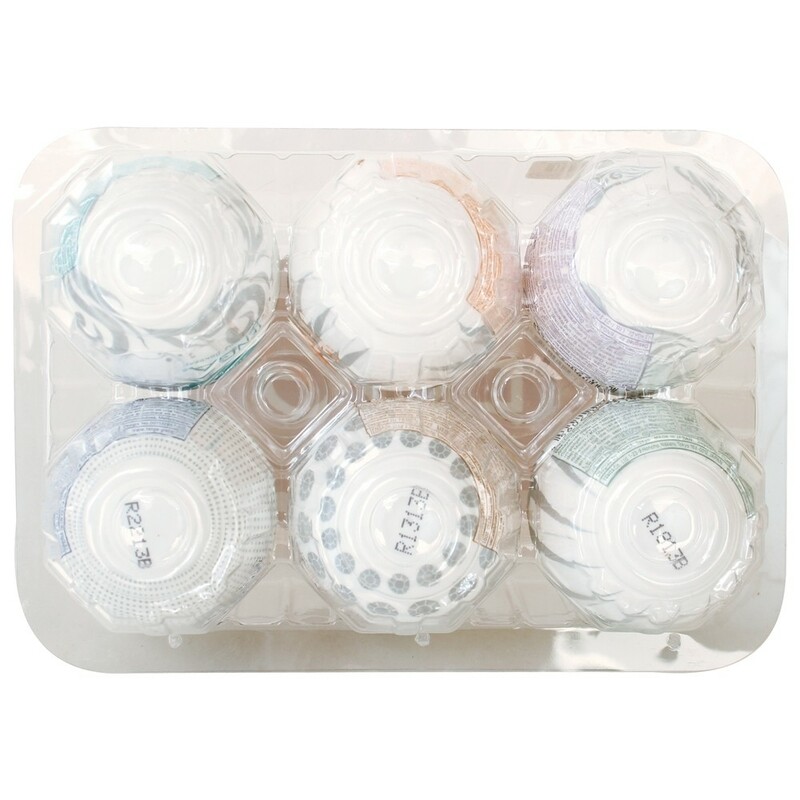 Crater: The indented surfaces of the cratered nubs offer adherence from all angles. Misty: The microscopic nubs that adorn its entire inner surface create a veil of sensations that flutter along your shaft in a cloud of comfort. 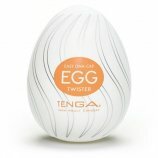 Cloudy: The thickest of the TENGA EGG Series creates a cloud formation to drive you wild. 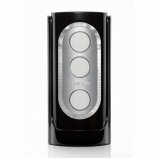 Shiny: It's radiating ribs stimulate around your shaft for a wild and unrelenting sensation! Surfer: With accentuated nubs for those surprise drops, see if you can control this gnarly ride! 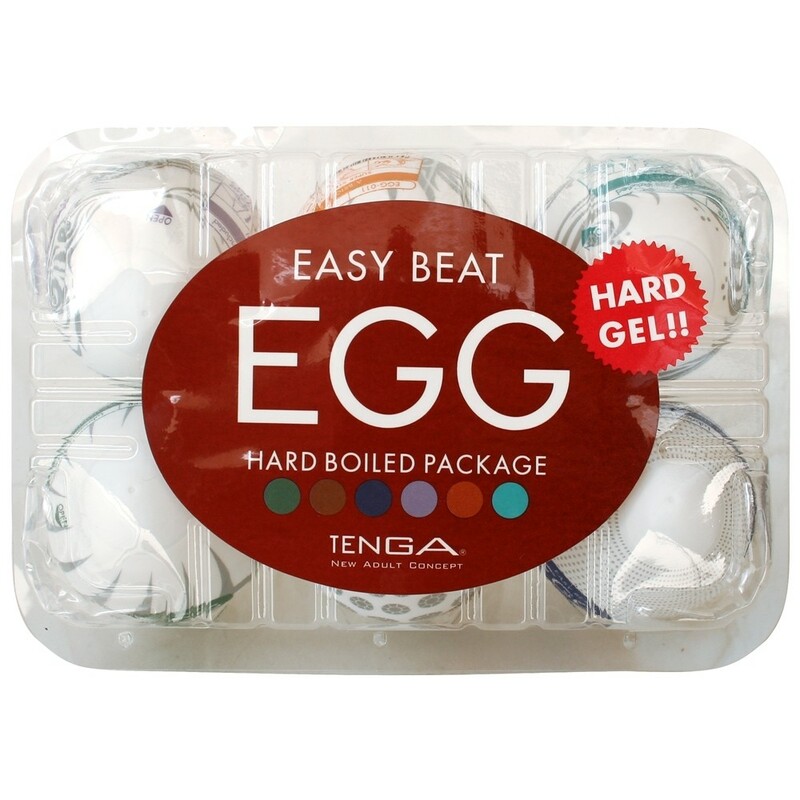 Tenga Easy Beat Egg 6 Pack - Hard Boiled. Review "Tenga Easy Beat Egg 6 Pack - Hard Boiled"